PITTSBORO, N.C. (February 20, 2018): Due to outstanding participation from racers and expanded sponsor support, Top Sportsman 32 and Top Dragster 32 will see a payout increase from runner up down. Top Sportsman 32 will enter its second season this year. This will be the first season for Top Dragster 32. Since the PDRA’s inception, TS and TD have grown in number of entries to allow for these ‘32’ classes. If 42 or more entries in TS or TD make a qualifying pass, the class is split into Elite 16 and a second 32 car field. Both the 32 classes and the Elite 16 classes will crown world champions and now the payout will be the same up to the runner up finishers. 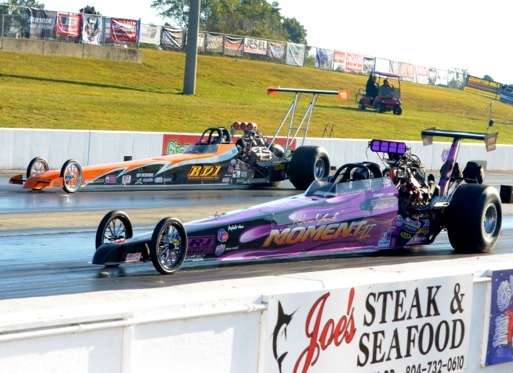 Top Sportsman and Top Dragster have exploded in competition levels in recent years. The classes are now often considered “semi-pro” categories. The classes continue to grow in following and the PDRA’s groundbreaking programs allows for a greater number of participants without watering down the field. The approach seems to be working with 100 Top Sportsman entries at the 2017 World Finals. A complete list of payouts can be found online at www.pdra660.com.